Edgy Manhattan shutterbug Rachel Solomon can’t wait to escape her difficult Midwestern Jewish family of doctors―and her crazy, condescending WASP friend and photography mentor, Elizabeth Mann. Not so easy when Elizabeth marries Rachel’s surgeon-brother, moves to the Midwest, and becomes the daughter Rachel’s mother always wanted―one who pops out four babies in a row, who are named after Rachel’s dead Yiddish-speaking relatives. Although Rachel long ago rejected the suburban female role, she’s shocked to find she’s been replaced. With unsparing candor, sparkling emotional insights, and hilarity, the girl who cut herself out of old photographs now has to fight her way back into the Solomons’ photo albums, homes, and hearts. From the author of the hilarious fictional debut Speed Shrinking―which became an international phenomenon―and the acclaimed memoir of past passion Five Men Who Broke My Heart comes a new book that blows the lid off of the secrets of female friendship. 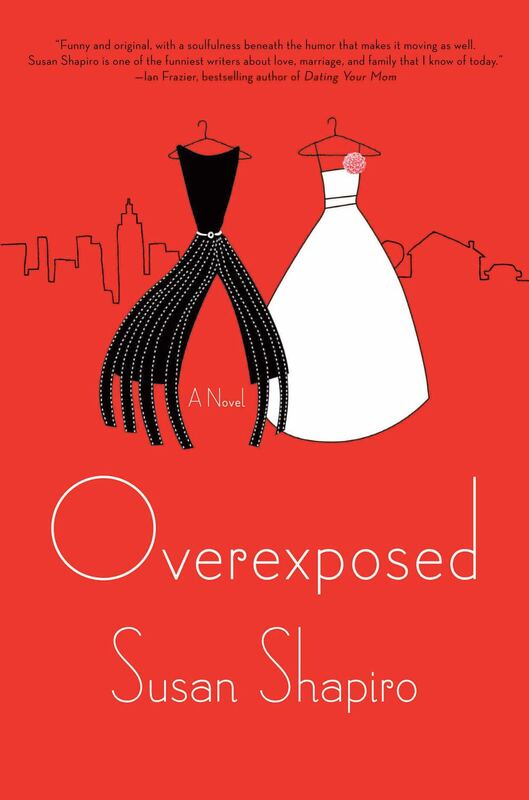 Based on a true story, Susan Shapiro’s darkly comic novel Overexposed chronicles the brilliantly twisted tale of two strong women who wind up switching lives.